Don Richard Poe, age 64, of Beavercreek, Ohio passed away unexpectedly on Monday, February 9, 2015. He was born October 6, 1950 in Dallas, TX to the late Woodrow J. and Maryann Poe. He graduated from Paschal High School, TX in 1969 and received his Bachelor’s in Mathematics from Baylor University, TX in 1974. He received a U.S. Air Force Reserve Officer Training Corp Scholarship and was a Distinguished Military Graduate in 1974. The USAF delayed his entry onto active duty for one year, so Don and his first wife, Gail Poe moved to Spain where he became an assistant chemical laboratory instructor at the American School of Madrid. He attended USAF pilot training at Columbus AFB in Mississippi and graduated at the top of his class. He became an F-4 fighter pilot stationed at Torrejon AB, Spain, George AFB, California, and Zaragoza AB, Spain. He was also a graduate of the prestigious USAF Fighter Weapons Instructor Course. Don was then competitively selected into the initial cadre of the USAF’s premier multi-role fighter, the F-15E Strike Eagle at Luke AFB, Arizona. He transferred to the Republic of South Korea for one year as a mission planner. He returned to Wright-Patterson AFB, Ohio to work simulator acquisition. Don was responsible for integrating fighter aircraft training requirements into the newest fighter simulators. 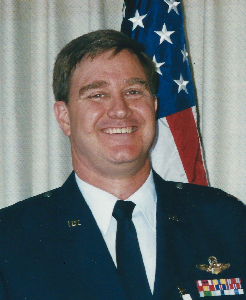 Don retired from the USAF as a Lieutenant Colonel in 1999 and continued his role in simulators as a contractor until 2013. He married Kimberly Lidie in 1997. He enjoyed skiing, traveling, and taking cruises. He also enjoyed punkin’ chunkin’, throwing pumpkins using a trebuchet with team American Chucker to raise money for charities. He is survived by his wife Kimberly Poe; children, Brian Poe, Sara (Zach Thomas) Poe, and Amanda (Ryan) White; sisters, Paula Wright and Marilyn Jones; grandsons, Ziggy Dean Thomas, Jamie and Mason White; and an abundance of other loving family and friends. I was saddened to hear of the news of Don Poe. He was a bright and talented guy. his family and friends be comforted by his memories. He was clearly one of the brightest people in our class. It's even more obvious now that we find out he earned a living defending our country flying fighter aircraft. That is one serious warrior. Rest in peace. I knew Don since the second grade. He is the finest individual I have ever known. The world lost a wonderful person. Don was one of my favorites. He was very friendly and never said any unkind words to or about anyone. I was very impressed with his accomplishments after he left Paschal. My thoughts and prayers go out to his family and friends. He is now a very special Angel. I remember the days of running around Ft. Worth in you Corvair, you will be sorly missed. Rest in Peace my friend. Don was definitely a special guy. A great athlete and a quite the scholar. An all-round good guy, and a true gentleman back when most of us didn't know how. Followed him and Gail for some time after college. I know they enjoyed Spain. Anybody know what happened to Gail? I remember Don as a kind, thoughtful person who made everyone around him smile. He was kind to all. Heaven's a better place with you there. God bless. I'm so sad to hear of Don's passing. I think just about everyone felt like he was your friend. He was such a kind, intelligent boy, who grew up to be an amazing military soldier. My heart goes out to his family and friends. Thank you for sharing all the information about his life..